The Midlands Wing Chun logo was designed and is copyrighted by Sifu Rawcliffe after long and careful deliberation, in consultation with Master Ip Chun. 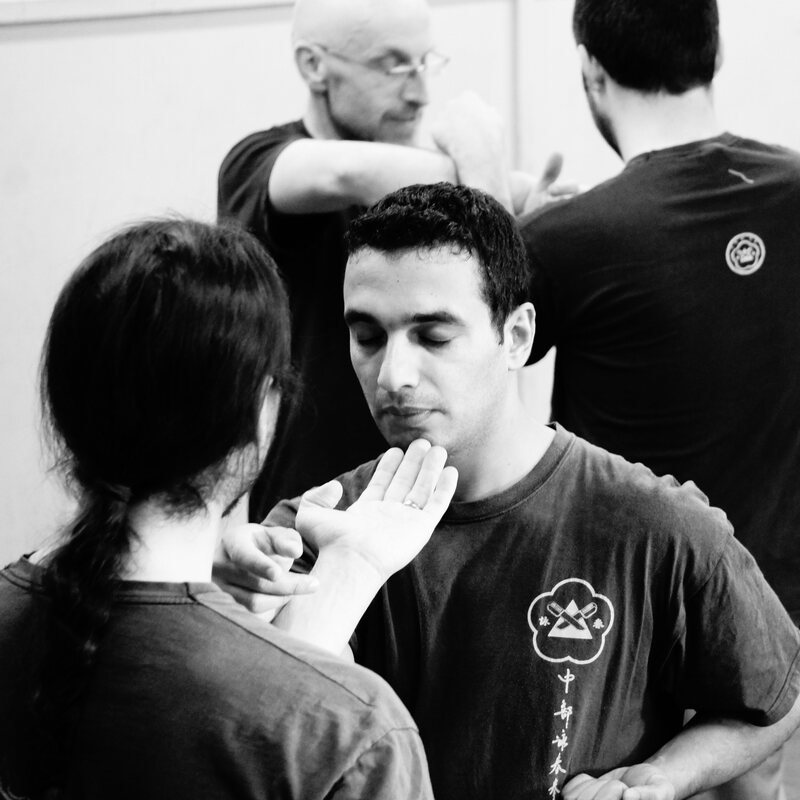 Each element was specifically chosen to embrace the ideals and principles of Wing Chun , the Midlands Wing Chun Kuen's philosophy towards teaching and training, as well as to represent the close bond between Sifu Rawcliffe and Grandmaster Ip Chun. The Mui Fa, or Plum flower, in ancient China represents the first month of the year, wintertime, perseverance and punity. In modern China, it symbolises elegance and intelligence. In Wing Chun, the Mui Fa has special meaning, since it is said that the nun who started the development of Wing Chun was called Ng Mui. She developed a style of self defence called Mui Fa Kuen, later renamed Wing Chun after her first student, Yim Wing Chun. In Wing Chun, the Mui Fa has special meaning, since it is said that the nun who started the development of Wing Chun was called Ng Mui. She developed a style of self defence called Mui Fa Kuen, later renamed Wing Chun after her first student, Yim Wing Chun. Respect, Discipline, Humility, Honesty and non-political. The triangle in the centre represents one of the most important concepts of the Wing Chun system ~ structural integrity. Wing Chun's effectiveness as a self-defence system is due, in part, to the fact that it does not attempt to fight force with force, relying upon muscular power and strength, instead it redirects and borrows the opponent's force and momentum and uses it against them. 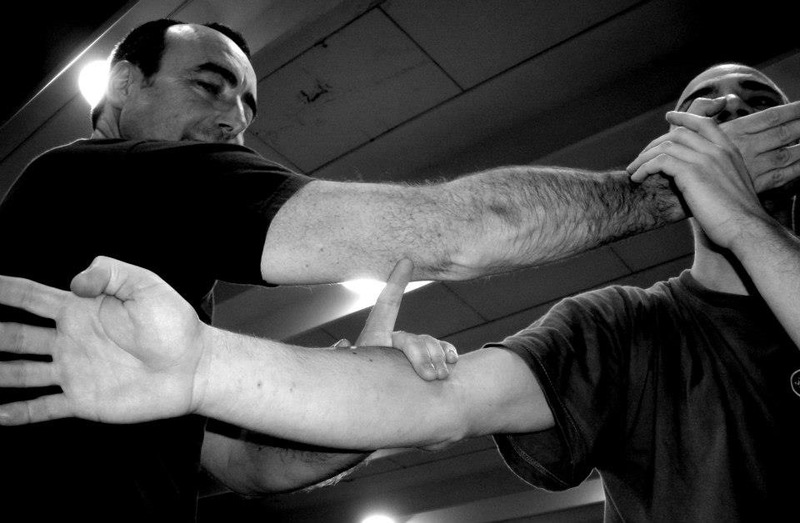 This is possible because every technique and stance in the Wing Chun system is based on, and supported by, a series of 'triangles' that combine together to form a tetrahedron (a four triangular sided structure). It is the utilisation of the natural triangulation of the human musculo-skeletal structure, in conjunction with a correct body posture, that gives the techniques, positions and stances their inherent inner strength and hence their capability to withstand much great amounts force. There are three points to learning: See it, Practice it, feel it. In addition there are three sources required in order to learn: The Sifu, the student, their partner. Many people debate over how Wing Chun should be 'spelt', in truth Wing Chun are simply two Chinese Characters. In Mandarin they sound like: Yong Chong, in Cantonese it sounds like Wing Chun or Ving Tsun depending upon the intonation of the person speaking. In English, the spelling is irrelevant as long as it is phonetically correct. There are two weapons in the Wing Chun system, the Butterfly knives and the pole. Since the knives are traditional Wing Chun weapons and much more akin to the hand techniques and because a long line representing the pole in the logo would look ridiculous, it was the knives that were incorporated into the logo. These Chinese characters were specially hand written by Master Ip Chun for Sifu Rawcliffe. The characters in Cantonese say CHUNG BO WING CHUN KUEN, meaning Central Area (Midlands) Wing Chun Fist. Traditional Chinese martial arts were referred to as Kuen, for example Hung Gar Kuen, Pak Mei Kuen or Wing Chun Kuen, as they are fighting styles. The term Kung Fu, a slang term referring to hard work and effort over a period of time to acheive a goal, is not a martial art term but a generic term, that could equally apply to a painting or a sculpture.